Rutgers turf alumni have a rich history at Shinnecock Hills Golf Club and give an insider's view of preparing the course for the 118th US Open. Read more about the Shinnecock Indians, the agronomy team's daily schedule, the swag of the US Open volunteer pacakages, and more. Two-Year Turf Management Certificate Student Conor Geisel talks about his summer internship with the 2018 Super Bowl Champions. 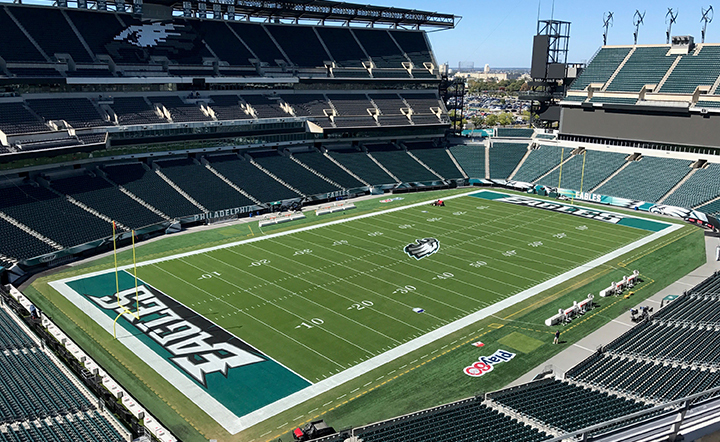 From an insider's view, learn the science (including 28 miles of underground heating pipes) behind keeping Lincoln Financial Field at peak playability. Read more about the 400 gallons of paint used weekly and the perks of Conor's internship with the Eagles. Les Carpenter, Jr. graduated from the Rutgers Professional Golf Turf Management School's Two-Year Certificate Program in 1978. He is currently the golf course superintendent at Newton Country Club in Newton, NJ. In 2016, he was selected to receive the Rutgers Professional Golf Turf Management School's Award for Professional Excellence. Read the keynote speech Les gave at the awards dinner featuring advice on how to succeed in the turf industry. The United States Golf Association (USGA) announced Dr. Bruce Clarke, of Rutgers University, as the recipient of the 2016 USGA Green Section Award. Presented annually since 1961, the USGA Green Section Award recognizes an individual’s distinguished service to the game of golf through his or her work with turfgrass. 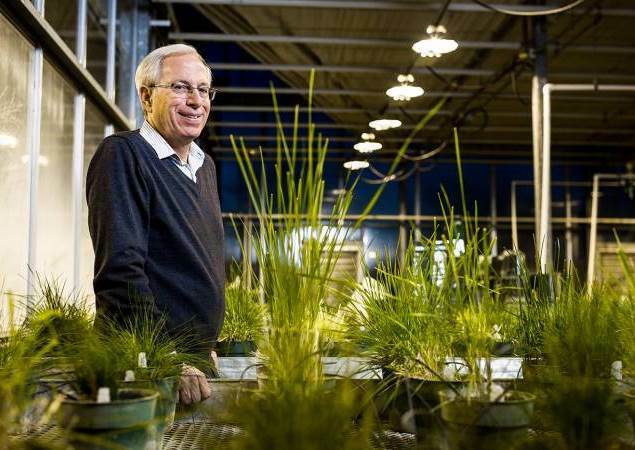 Read more about the USGA honoring his more than 30 years of leadership and research in the turf industry. The Fall 2015 Two-Year Certificate Program class officially voted Russell Chappell as their president. Unofficially, Chappell's PTSD service dog has been named the class mascot. A member of the 503rd Infantry Regiment's 173rd Airborne Brigade Combat Team, known throughout the world as the Sky Soldiers, Chappell was deployed to Afghanistan for multiple tours. After being severly injured by a rocket-propelled grenade while pulling security duty in 2007, he was awarded a Purple Heart. A Purple Heart is one of the highest badges of honor an American soldier - living or dead - can receive. Rutgers is proud to have a hero of this caliber in our turfgrass program. 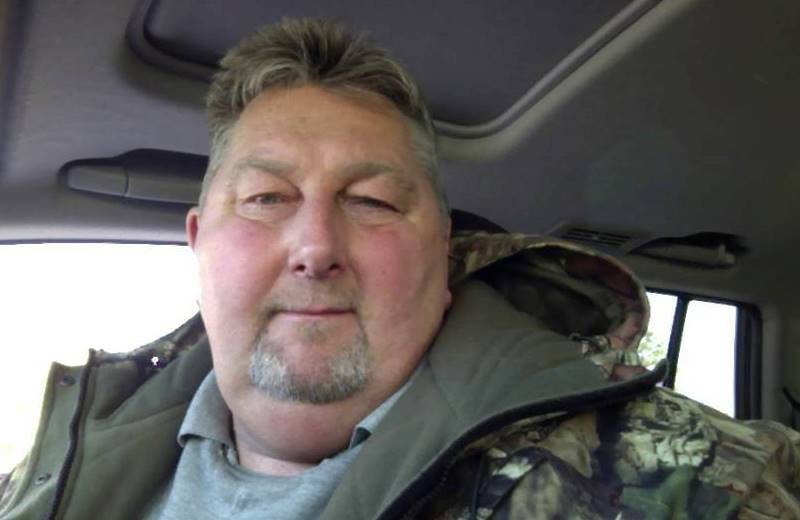 Read more about Russell Chappell's military service here. 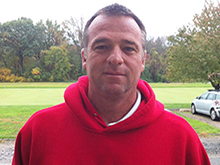 Bart Miller (1992 Two-Year Certificate Program Alumni) currently works as the Superintendent of Langston Golf Course. In that position, he has a reputation for giving a hand up rather than a handout to those in need. 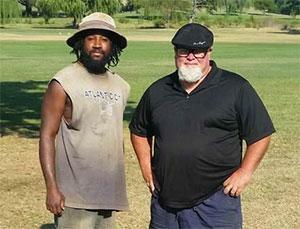 For example, Miller hired a homeless man named Milton for a temporary, seasonal job on his grounds crew. This opportunity proved to be the first step in getting Milton off the streets. With patience and compassion, Miller and his staff helped Milton get back on his feet. Milton has since reconciled with his family and now has a life again with his wife and daughters. Read more about this second chance success story. 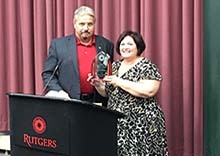 With pride for his philanthropy, Rutgers honored Bart Miller with the Award for Professional Excellence on November 5, 2015. With over 35 years of experience working in the golf turf management industry, Fran Owsik is happy to share some of his pearls of wisdom. A proud alumni of The Rutgers Professional Golf Turf Management School, Fran offers 30 suggestions for up-and-coming greenskeepers, from eating a healthy breakfast and taking your well-deserved vacation time to finding a top ten superintendent mentor and continuing your education throughout your career. Read through Superintendent Fran Owsik's 30 Tips for Up-And-Coming Greenskeepers here. When Kristian Summerfield, a UK native living and working in the Netherlands, crossed "the pond" to attend the Rutgers Professional Golf Turf Management School: Three-Week Preparatory Course in January 2013, he improved his turf management skills thanks to the strength of the faculty and his classmates. 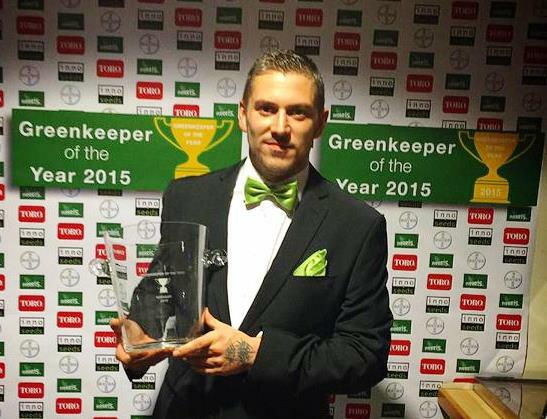 Less than two years later, those skills were recognized when Kristian was presented with the 2015 Greenkeeper of the Year award. Learn more about Kristian and his award here. 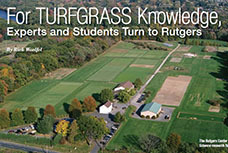 NJSGA Golf, the official publication of the New Jersey State Golf Association, profiled Rutgers' turfgrass research and education programs in its Spring 2015 issue. A history of turfgrass research at Rutgers, details about the educational opportunities that are available for Rutgers turf students, and insights from several of the instructors who teach in our turf management programs are all featured in this piece. 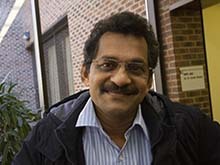 Raju Thupran traveled to NJ from Saudi Arabia for the Three-Week Preparatory Course in January 2013. But he wasn't the only student who traveled a great distance to attend. In fact, there were a total of eight international students in the class coming from locations as diverse as Holland, Nigeria, Canada, and Turkey. Learn more about why turf students from around the world are choosing Rutgers. 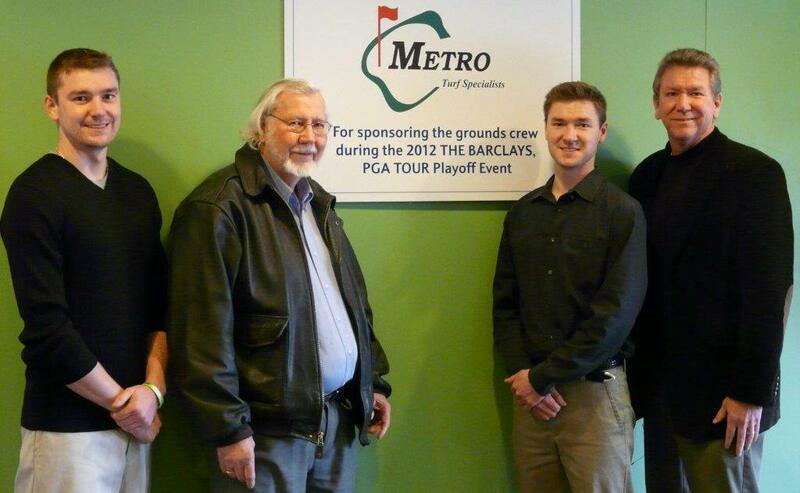 Todd and Richard are the third generation of Apgars working at Metro Turf Specialists, a leading turfgrass supply company. To continue the tradition of offering educated advice and recommendations to their clients, the brothers attended the Three Week Preparatory Course in January of 2013. Todd, who holds a bachelor's degree in business management, was surprised and impressed by the new insights he gained in management and leadership. "I am amazed at the diversity of what the Rutgers three week course had to offer," he said. Learn how our practical turfgrass management training helped a family business grow and succeed. Arizona resident Keith 'Skip' Douglass was diagnosed with hairy cell leukemia (HCL) shortly after he completed the first 10-week session of the Two-Year Certificate Program. With the support of Rutgers staff and his classmates, Skip was able to return to New Jersey for the second 10-week session and is determined to finish the program. Learn more about how Skip Douglass is striving to live "every day the best [he] can." Rutgers alumni are proving that golf courses not only don't harm the environment but can actually improve local ecosystems. Heron Glen and Quail Brook Golf Courses (headed up by alumni Jason Pierce, Thomas Grigal and Rich Evans) are protecting waterways, preserving open space, helping wildlife and educating the public - all while maintaining beautiful, playable fairways. Learn more about how these golf courses stay green and remain kind to Mother Earth. 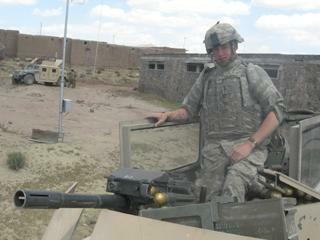 The seeds of Eric Harshman's second career took root during his 12-year enlistment in the Indiana Air National Guard. That's when he began helping out at his in-laws' golf course, and discovered a passion for turf. But his Rutgers internship at the Cincinnati Reds' Triple A baseball stadium in Louisville put baseball and sports turf management in his blood. Having his commanding officers grant him the time off to attend Rutgers changed Harshman's career and life. "I loved what I was able to do for my country, and what the military did for me," he said. Learn how Eric pursued his dreams and see where he works now. That's where the Rutgers Professional Golf Turf Management School came in. Learn how a passion for sports & the outdoors -- and the right training -- helped these two launch successful careers. Like many high schoolers, Paul Sutter worked on a golf course each summer for fun and pocket money. He never planned to make a career out of it. But, what started out as a fun summer job on the golf course turned into an exciting and successful career after he graduated the three-week Golf Turf Management program at Rutgers in 1997. Now Superintendent of Oronoque Country Club in Stratford, Connecticut, Sutter can look back on his career so far and recognize the value of “having the Rutgers name” on his resume. 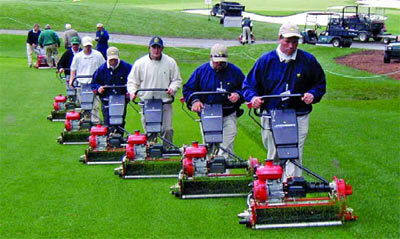 “Rutgers is definitely recognized as one of the top golf turf management schools in the Northeast,” he said. Find out how Paul went from summer job to lifelong career -- and where he is now.